Gdansk International Fair is currently hosting the 19th edition of Amberif Design Award open competition — themed “Mimesis” — inviting designers, artists and craftspeople to participate with fresh jewellery designs for 2015. The Competition’s aim is to promote creative thinking and new ideas in the design of amber art jewellery and to develop the knowledge about Baltic amber’s properties and nature. The Amberif Design Award 2015 competition offers three prizes, of which the Main prize is 10,000 Polish złoty (approximately 2,380 Euro)! 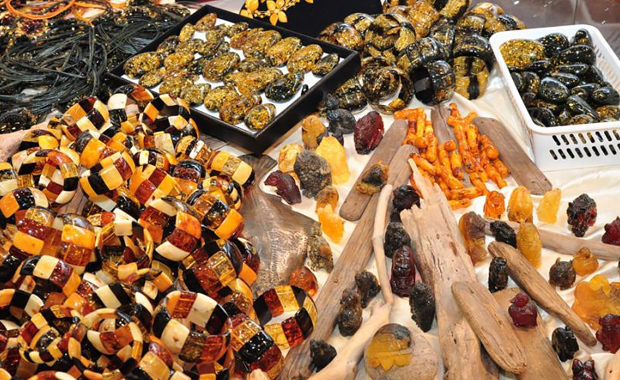 An Amber Prize of 1kg of amber will be awarded by the International Amber Association. 1kg of sliver will awarded as a Silver Prize. Only natural amber is allowed in the submitted designs and participants have the complete freedom of choosing the other materials. The 2015 Amberif Design Award accompanies the 22nd International Fair of Amber, Jewellery and Gemstones Amberif 2015 in Gdansk, Poland, scheduled for 25—28 March, 2015.